Today I would like to show you some different ways to bring up a function screen. As a regular Photoxor Toolkit user you might know them already, but maybe there is the one or other 'secret' tip to be revealed here. Why are there different ways to do the same thing? As the Toolkit and also Android evolved, new navigation approaches developed. We tried to integrate them and allow our users to find their personal preference. I for myself most often use the Navigation Bar. What is your personal preference? Please put a short note in the comment section, what works best for you. What could we improve? Sounds trivial, but even here we do offer you some choices, "Qual der Wahl" we would say in German! After installation from Google Play, the App icon is placed on your home screen, and also the list of your installed Apps. Just click on the App icon. On first install the terms and conditions screen is shown, and then the Photoxor Toolkit start screen come up; you are ready to go. 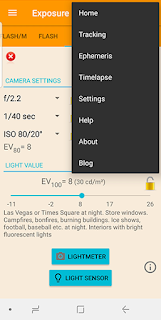 Widgets are an Android mechanism to access the App in a more sophisticated way. We do support 3 Widgets. I would recommend this Widget. 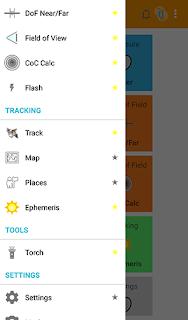 It allows you to bring up the App, toggle the Torch, and also controls GPS tracking. 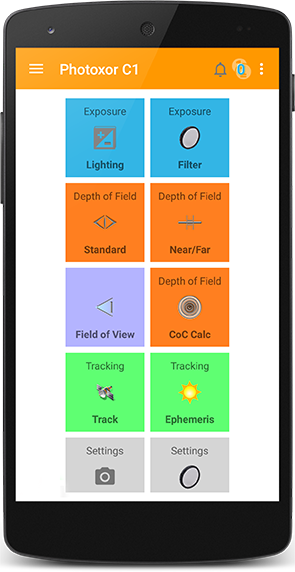 Very handy when you want to trace your path, but from time to time pause tracking for conservation of battery power. This is our old initial Widget version. 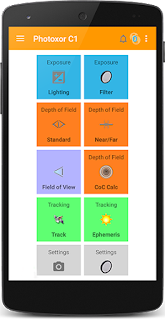 It allows to separately enable / disable tracking and logging. Probably good for an expert user, but we found the new version more convenient. Please note that we might deprecate and remove this old Widget soon. Please let us know in case some of our users are keen to retain it! This Widget simply allows you to switch the Torch on or off. Sometimes this one is good to place it in a prominent position to quickly access the Torch. This is the new luxury, but only supported by Android Oreo onwards. These Shortcuts allow you to directly access Photoxor Toolkit functions, and even put icons directly onto your launch screen to open with one click only. 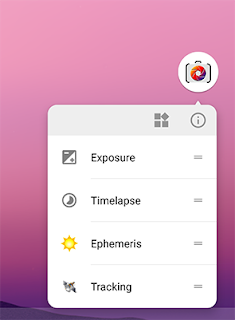 Or you drag a shortcut icon onto your launch screen, to get additional icons for a one click access to these Photoxor functions. With the initial installation we provide a default configuration of the Start Screen, showing launch icons for the most used functions screens. My recommendation is to initially use this screen and familiarise yourself with the Toolkit. There is quite a bit to discover. After a while you know what functions you use more often, or others you don't really need. Well, then there is time to configure the Start Screen to you own preferences!! How to configure, have a look here! On the top left you find the 'hamburger' icon, the 3 horizontal bars. Tip: This icon might be hidden when the screen is scrolled down. In this case please scroll back up, and it should appear. Please try it a few times, yes I know sometimes the scrolling up is bit awkward to find the right spot on the screen to scroll up. Now click on this 'hamburger' icon, and the Navigation Bar is shown with a scrollable list of all functions available! 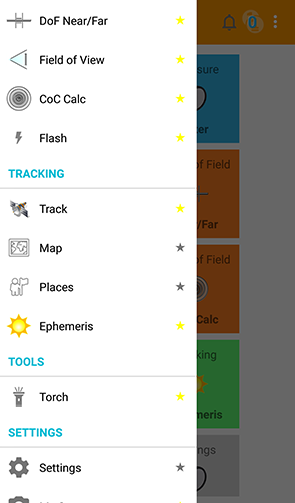 Another tip: You can scroll out this Navigation Bar from the left side as well. Place your finger at the left edge of the screen and drag inwards. Have a play with this as well please. And a drag to the left will move the Navigation Bar out of the way. Now just select one of the functions to bring up the screen. No, we are not finished yet. At the top of the App screen is the toolbar. 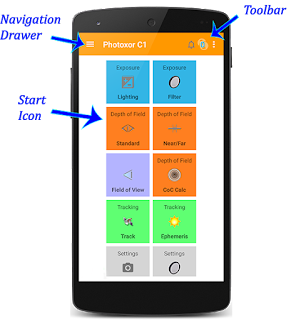 Depending on the available screen space, some specific functions are represented with their icons. Otherwise you find them hidden 'behind' the 3 dots icon on the top right side. Press this icon, and a dropdown list of functions is shown. This list changes in context of the current function screen. 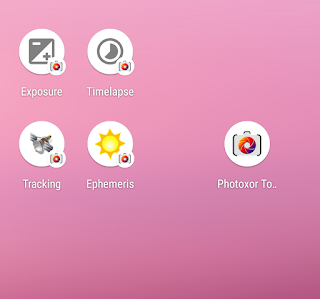 There are many ways to navigate Photoxor Toolkit. I hope everyone is able to find a convenient way. Please add a comment and let the readers and me know your thoughts. What does work well, where should we improve. 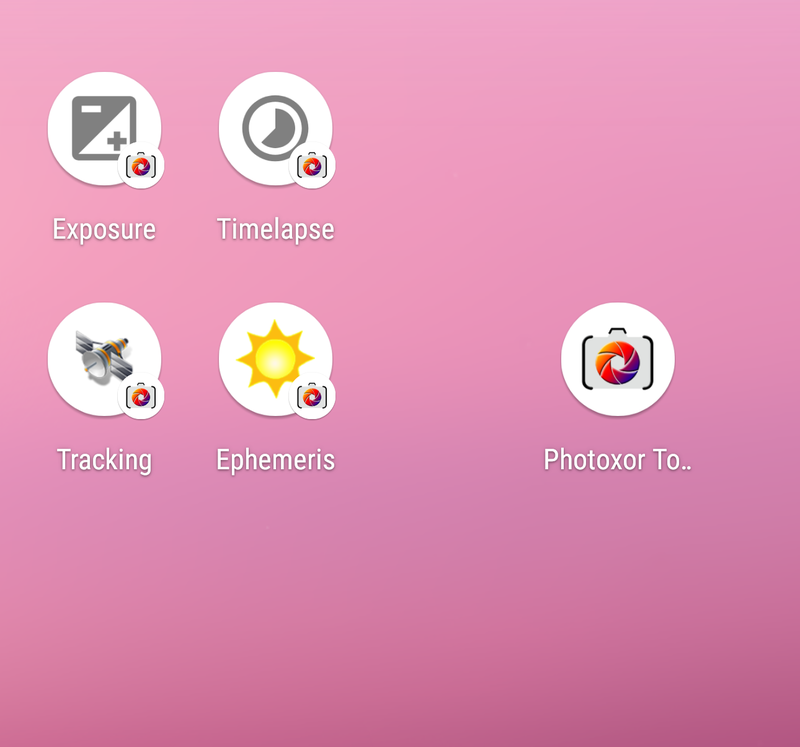 And please spread the word and help to grow our Photoxor user community.